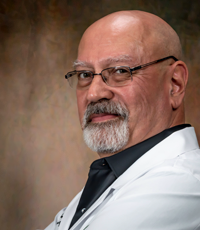 The purchase of a state-of-the-art Erchonia Zerona Z6 fat-reduction laser has led to increased patient traffic for Dr. Larry Ward, who owns Natural Health Clinic by Natural Health Associates in Tulsa, Oklahoma. It’s the only FDA-approved laser for weight reduction in the country and the reputation of the Erchonia brand has led to strong word-of-mouth for Dr. Ward’s practice, which he has owned for more than 20 years. “The brand Erchonia led me to have faith in them and with this purchase. It was a leap of faith for me to make the purchase. This laser has increased my ability to help my patients tremendously,” Dr. Ward said. Dr. Ward and his practice treat not only pain conditions and traumas, but includes IV Therapies, Weight Loss programs, Acupuncture, and a multitude of nutritional therapies. Dr. Ward is a licensed chiropractor and certified acupuncturist. Purchasing the laser helped him expand his practice. After an initial equipment financing deal in November 2017, Dr. Ward turned to Stearns Bank again for financing on the Zerona Z6 laser in the fall of 2018. The fast approval process from his first experience made it easy for him to come back a second time. “I was dreading financing with a bank because this is not cheap equipment,” Dr. Ward said. “After going through the approval process, I felt kind of stupid for being scared. I was blessed to work with such a great lender in Stearns Bank. I can’t believe everything was so simple and that more people don’t use Stearns Bank for equipment financing. Dr. Ward values the relationships he has with his patients and anyone he works with. The relationship he’s developed with Stearns Bank is one that he will count on in the future. “I’m in my 60s. I’m an older guy. Relationships with patients mean a lot because I give them confidence and, in turn, they trust me for what I can do for them,” Dr. Ward said. “It’s the same for me using suppliers and lenders. We have to have that confidence to support one another. Dr. Ward is hoping the Zerona Z6 laser will continue to help build his business.